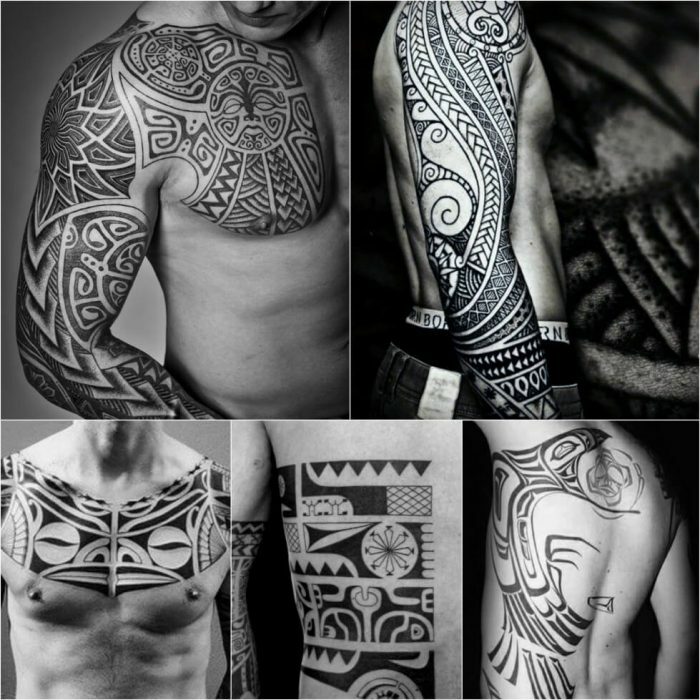 Tribal tattoos are a mix of ancient folk styles, vivid imagery, symbolism and militancy. 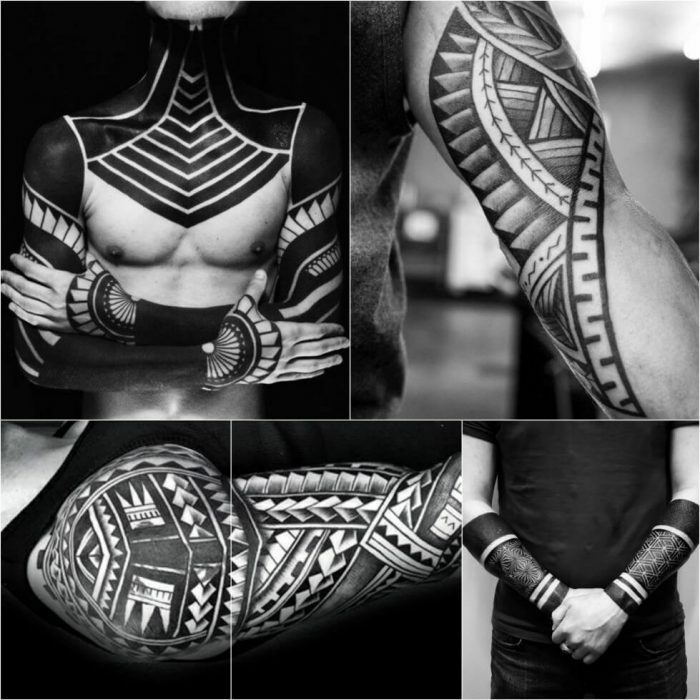 A tribal tattoo really is one of the most traditional and classic designs. 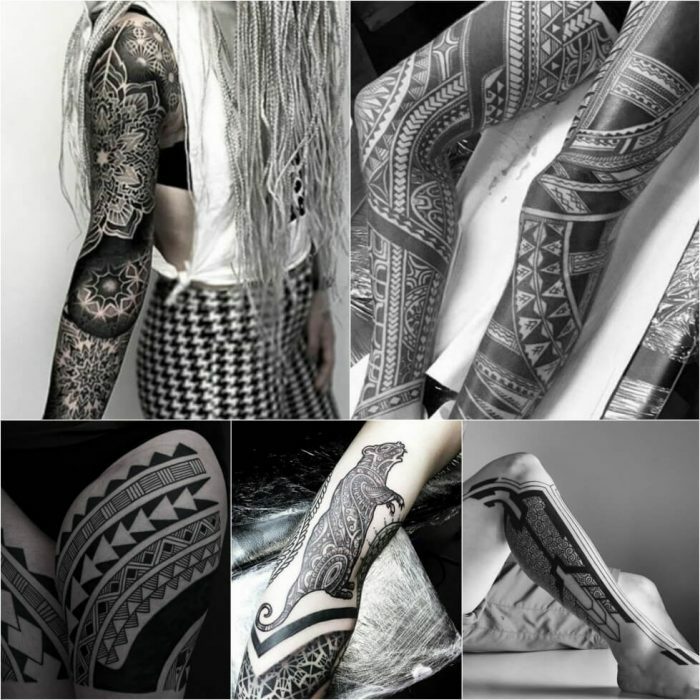 Tribal tattoos can be clear interwoven patterns or images of sacred animals. 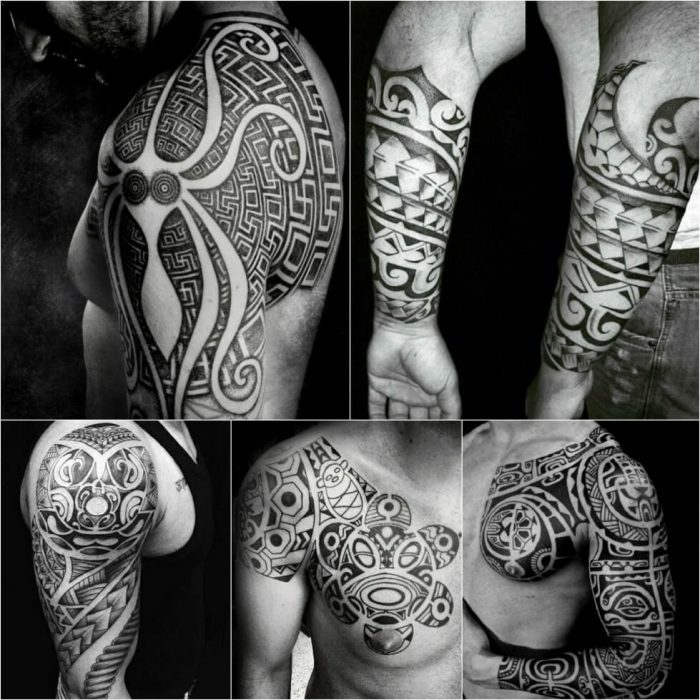 The main difference between tribal tattoos and other tattoos is the clear, even and dark contours of the picture. 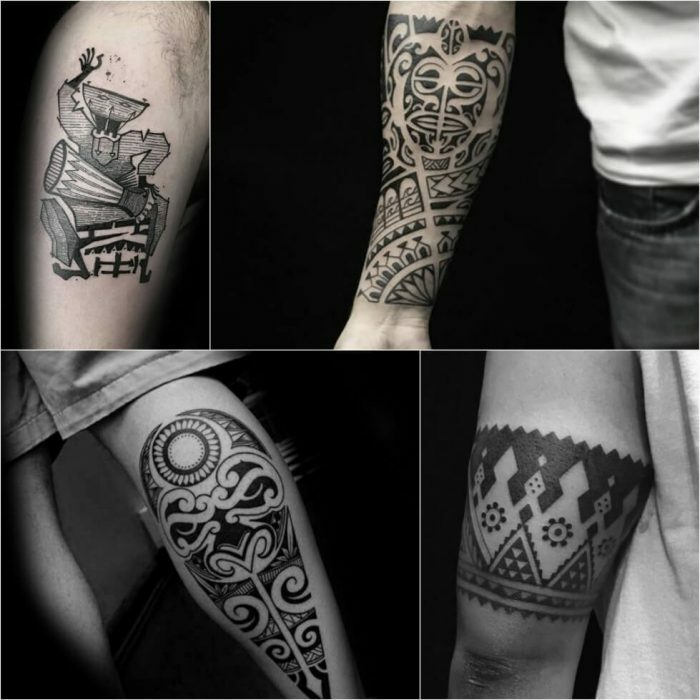 Tribal tattoos emphasize the emotions people feel when they see these pictures. 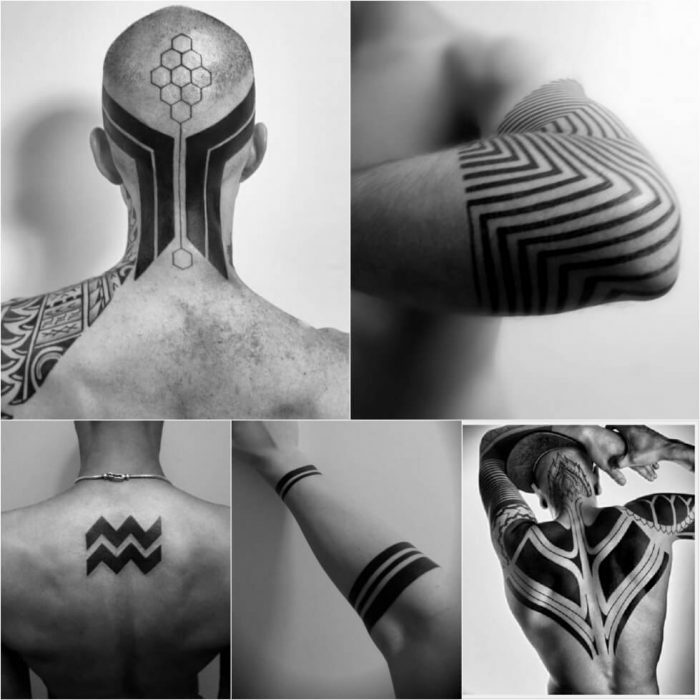 At first glance, simple patterns on the body can have an ancient mystical meaning. 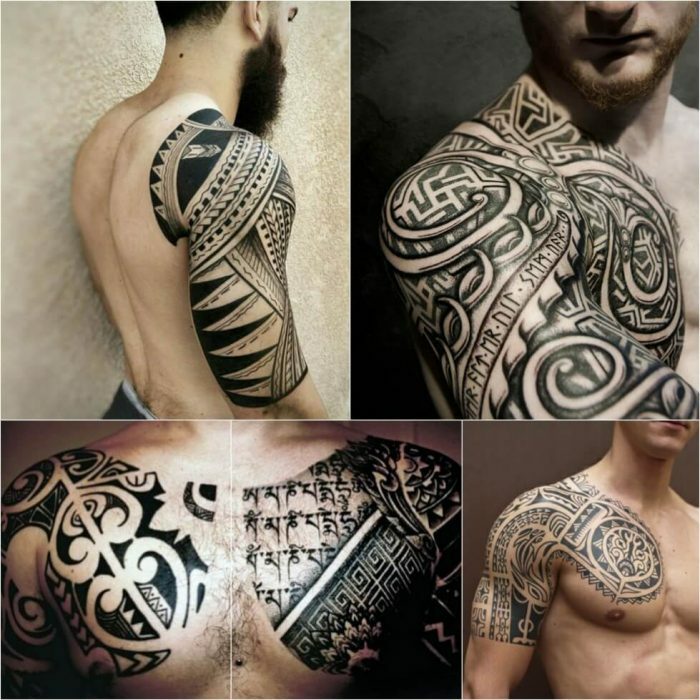 A tribal tattoo’s meaning can vary depending on the culture of a specific tribe, as well as on the choice of the symbols and their combinations. 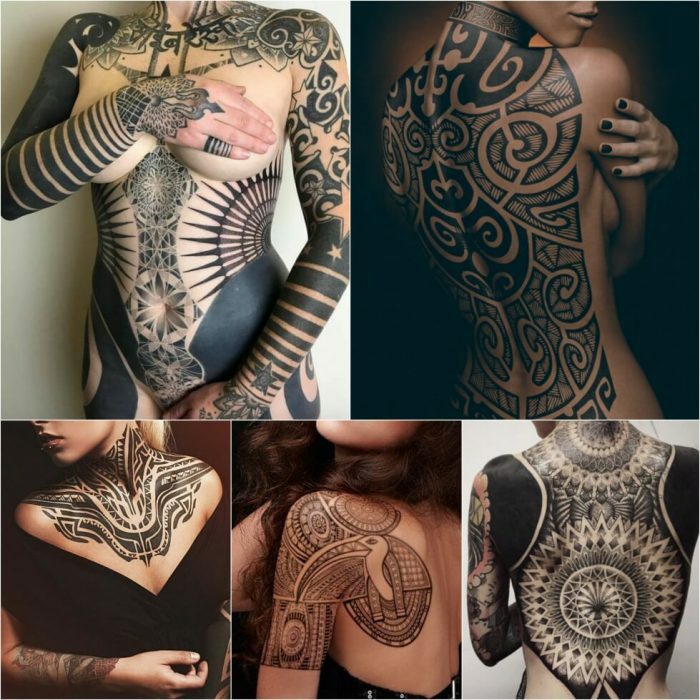 In ancient times, each of the lines, spirals and circles in the tattoo told a person’s story. 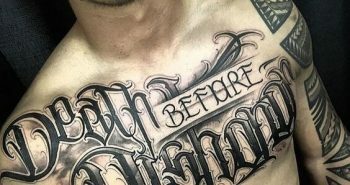 In the tattoo, you could find their birthplace, social status, achievements, battles and other important events from their life. 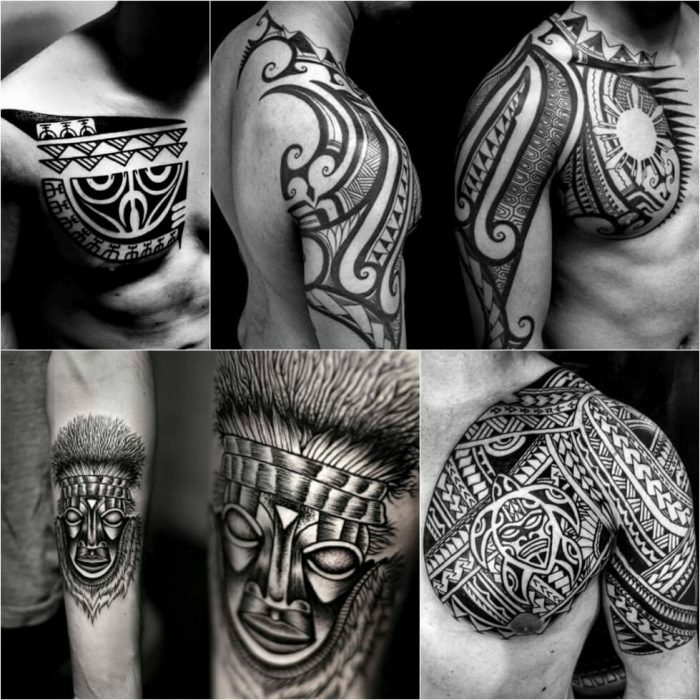 Tribal tattoos often cover the whole body of a person and depict special merits of their tribe or their clan. This is a kind of ancient passport, which tells the life story of a person, their family, their tribe, or their position in society. 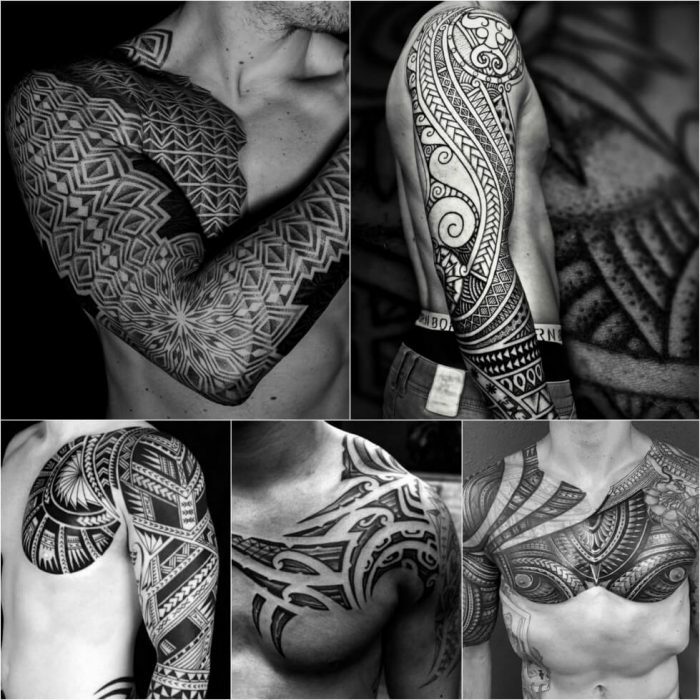 The process of tattooing was a sacred ritual for our ancestors. 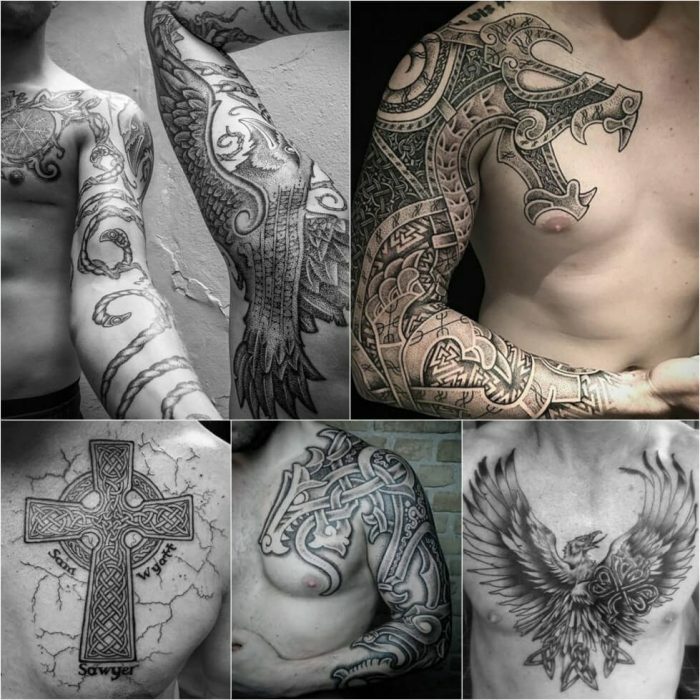 Ancient masters of tattoo art prayed for a long time before each inking of the body. 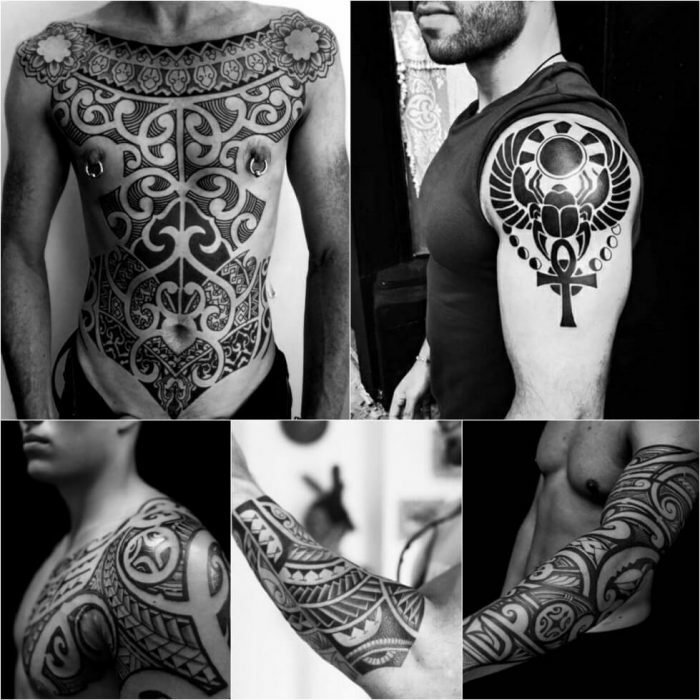 They believed that the tattoo was associated with the person’s soul, their spiritual energy, thoughts and desires. 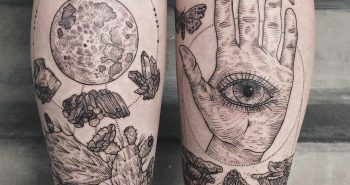 Magic tattoos were thought to control human life, to protect the owner from all ills and mistakes, add strength and courage, and also, save them from fears. 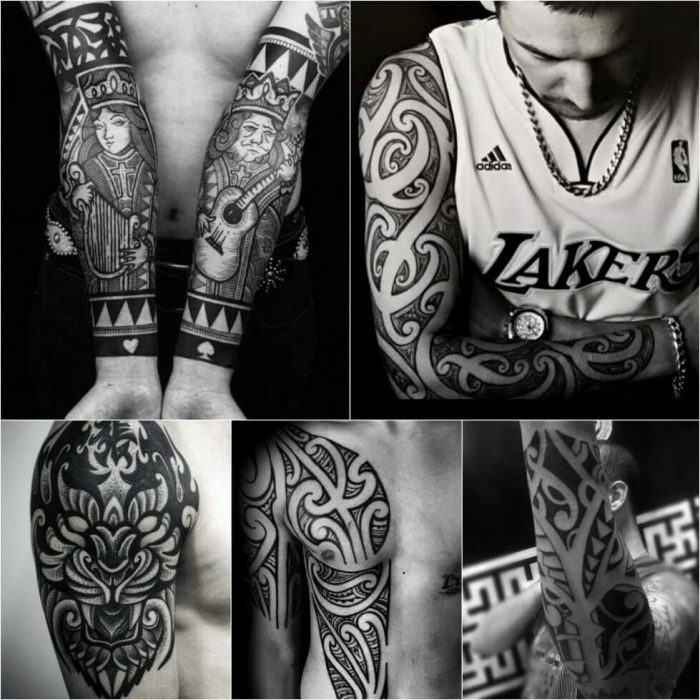 A Maori tribal tattoo was an indication of courage and endurance. 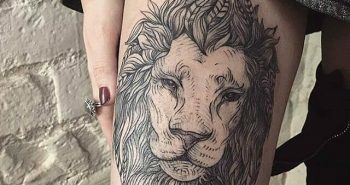 Not everyone could stand to get one of those tattoos, due to the dreadful pain during the tattoo process. 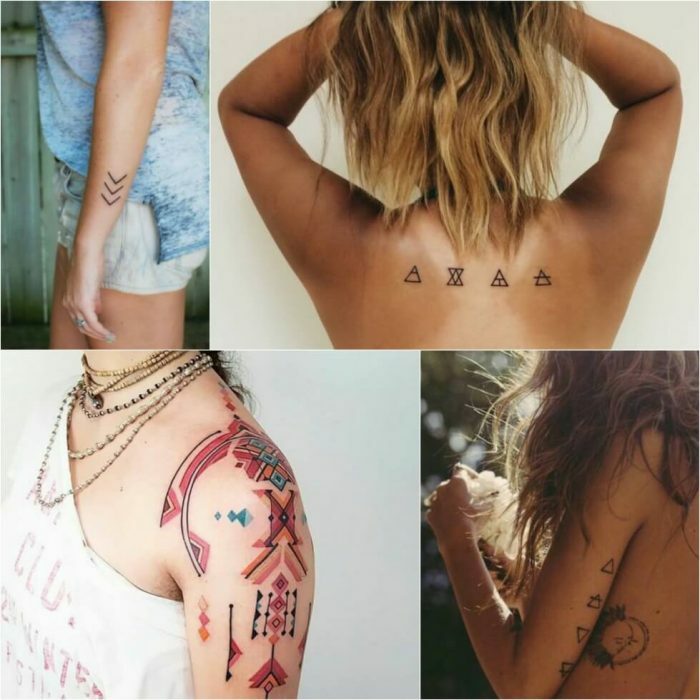 Ethnic tattoos are popular nowadays because of their beauty and originality – it’s difficult to take your eyes off such a tattoo. They fascinate and hypnotize us. 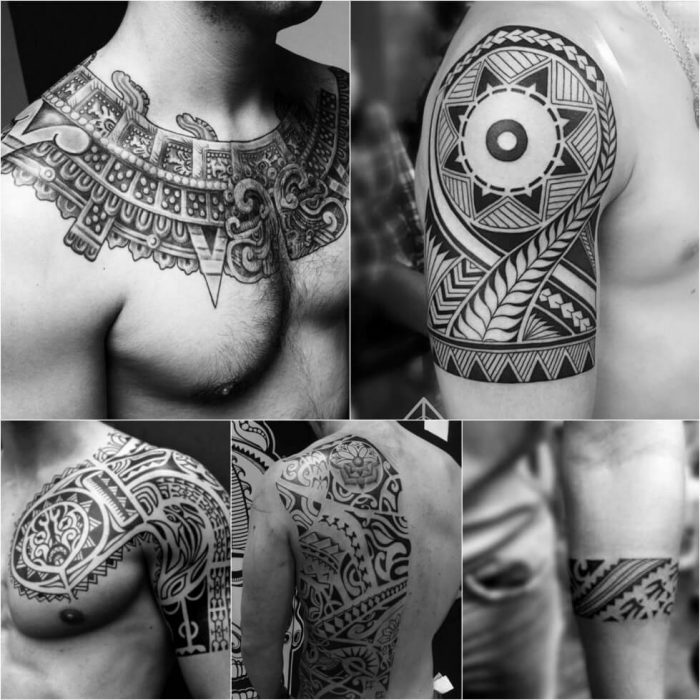 Tribal tattoos first appeared in Europe when sailors returned with ethnic style tattoos from Polynesia. 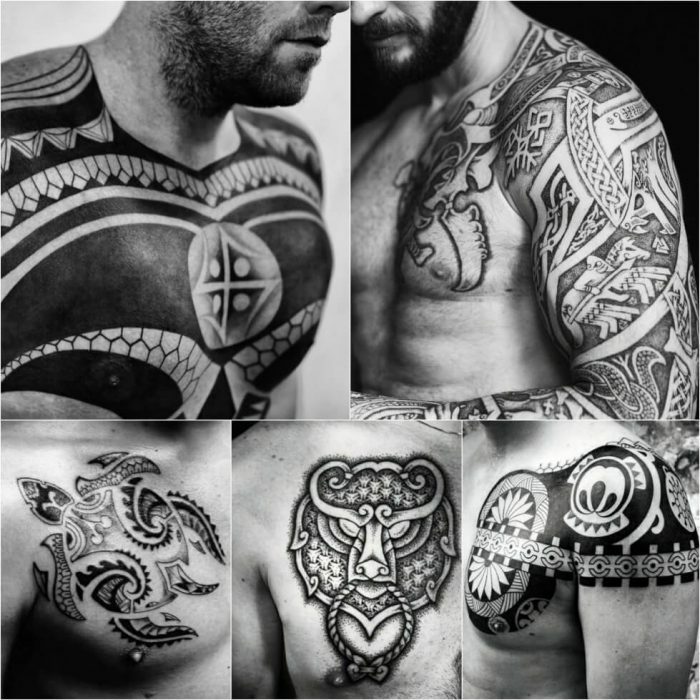 Tribal tattoos spread very quickly throughout Europe and Asia, surpassing the popularity of native, traditional European tattoos. 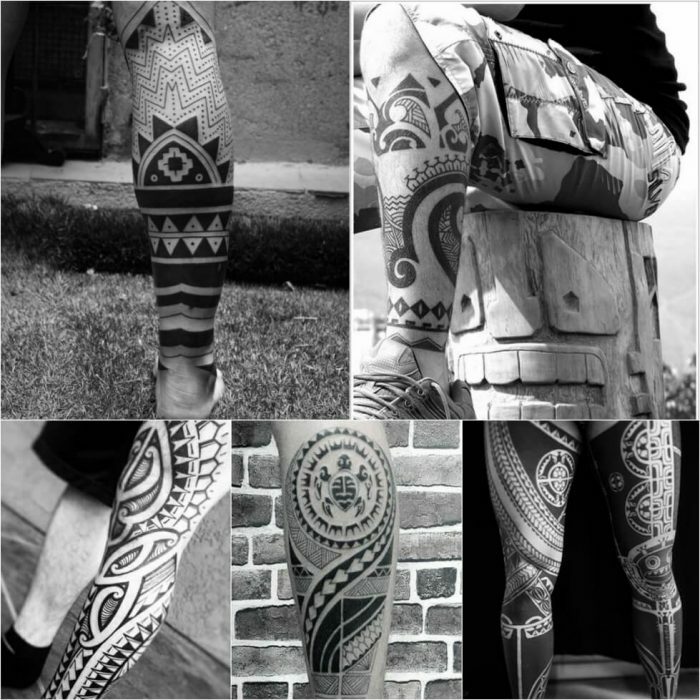 Tribal style today combines a modern rebirth and a continuation of the ancient Polynesian style. 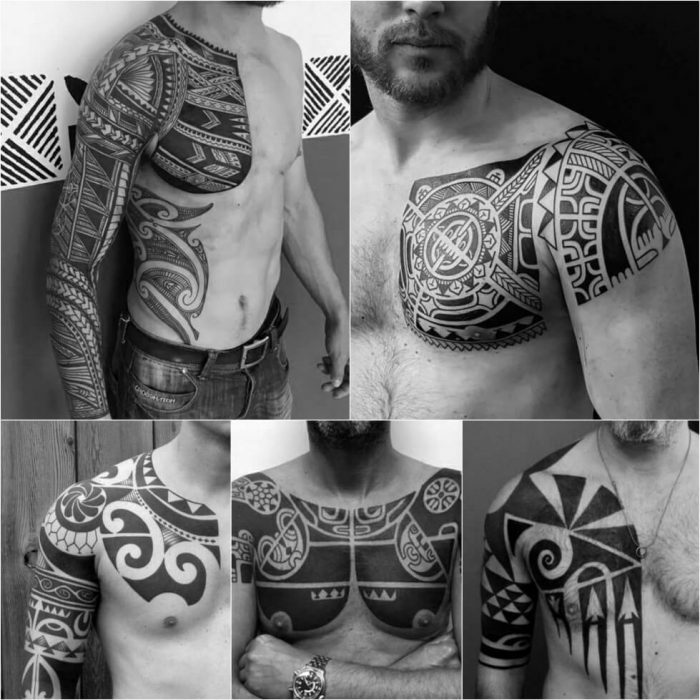 Tattoos have long had a symbolic meaning, from the islands of Polynesia, to different tribes in Africa, in Japan and among the Celtic nations. 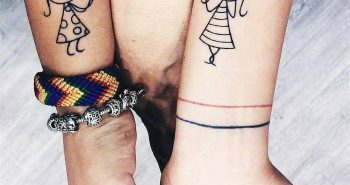 They marked the status and position of a person in society, demonstrated a spiritual commitment and were adornments for bravery and achievements. 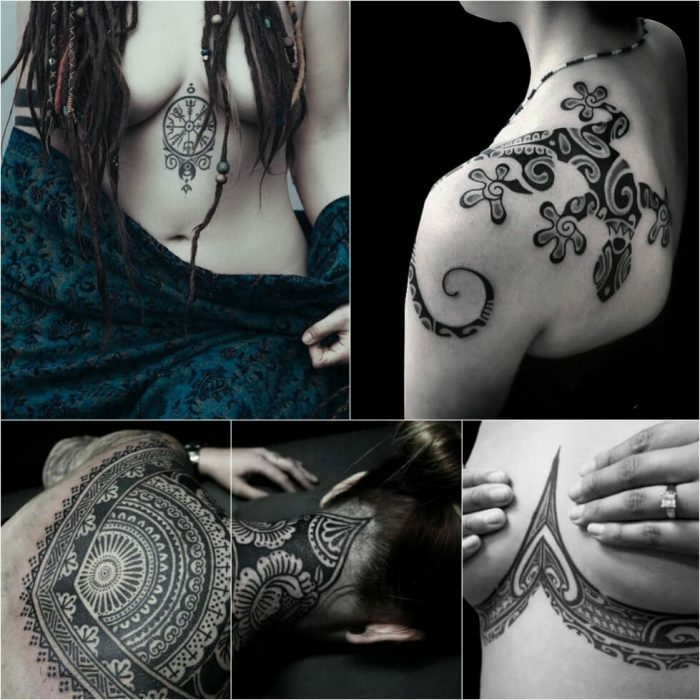 ● ornaments depicting skulls, sharks, birds, ferns, the sun, the moon and flora. 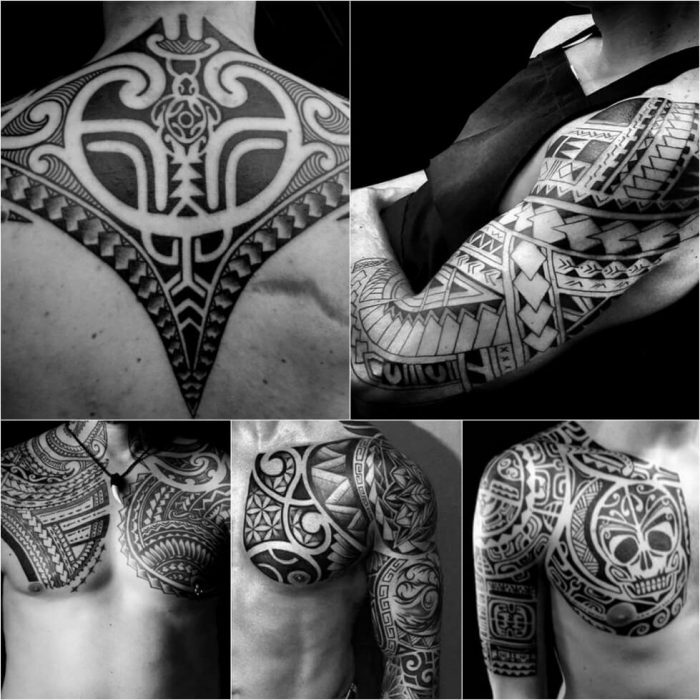 Traditionally, despite containing similar elements, Polynesian tattoos are unique and are never repeated in two people. The Haida are the indigenous peoples of North America. 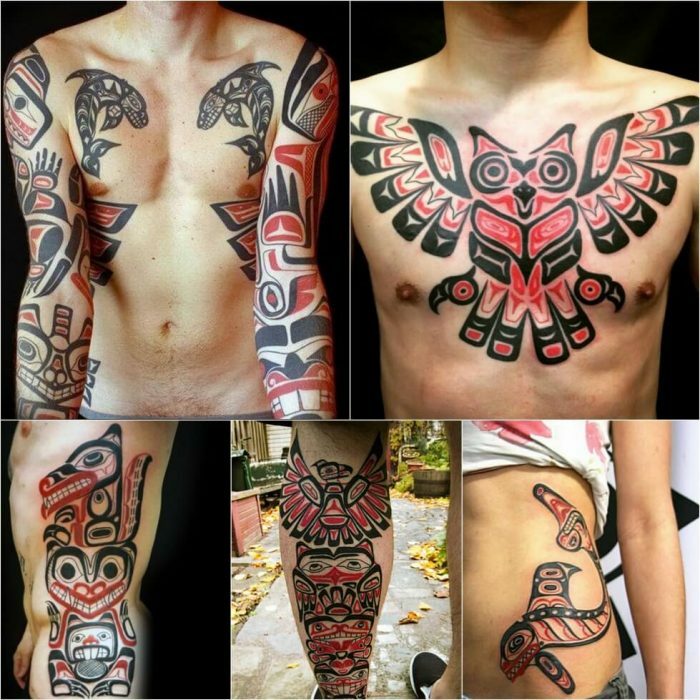 Tribal Haida tattoos are not only original, but they are also incredibly colorful. 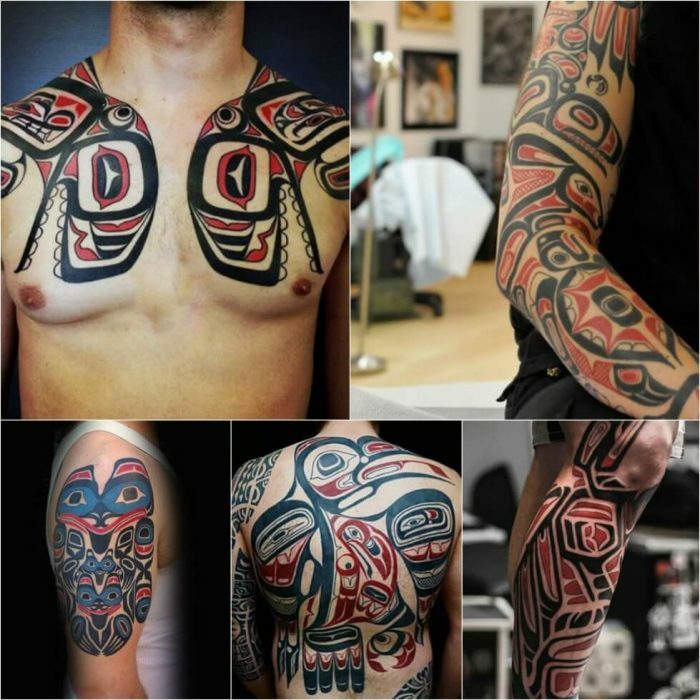 Usually, tribal Haida tattoos feature two colors: black and red or a combination of black and green or blue. Each colour had a certain meaning. Blue in Haida means the sky, and black means the earth. Green represents the plant world while red represents blood. 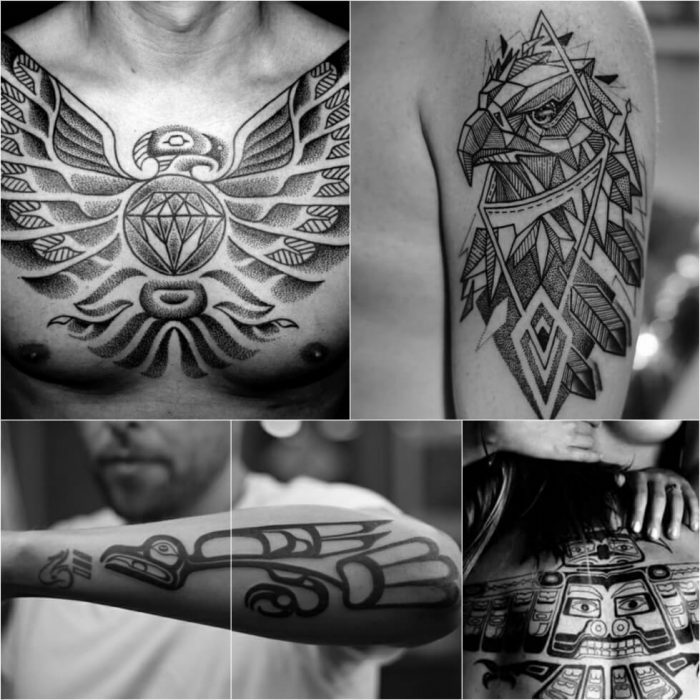 The main subjects of tribal Haida tattoos were animals and birds. 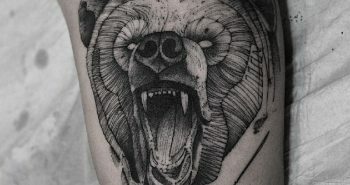 Depending on the person’s family and other factors, they were tattooed with bears, killer whales, dolphins, sharks, fish, eagles and other fauna. 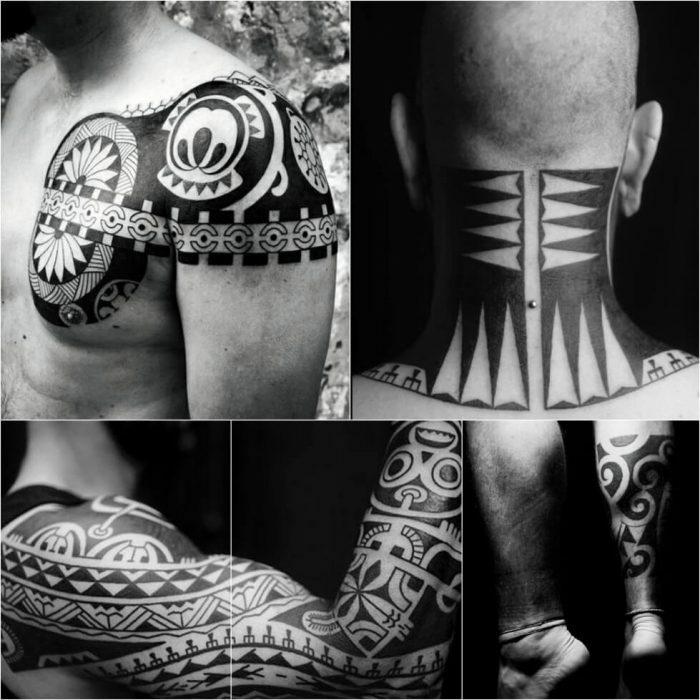 Pictures on the body always acted as amulets for the Haida. With these images they tried to protect themselves from misfortune and dangers. 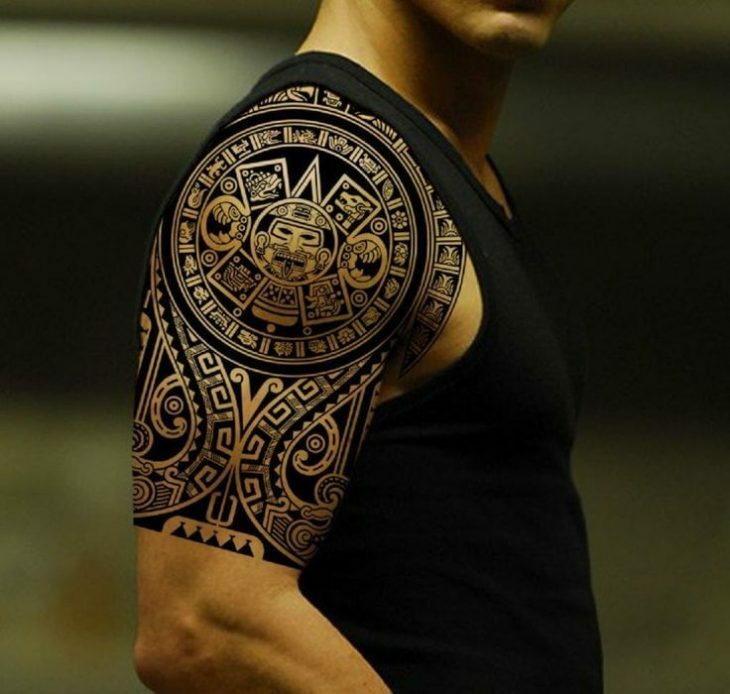 And today, a Haida-style tattoo also serves as an amulet which ensures that misfortune bypasses its owner. 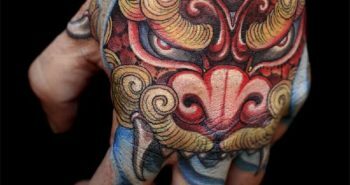 ● Irezumi tattoos were popular among the criminal Japanese world. They covered the whole back, chest, arms and thighs. 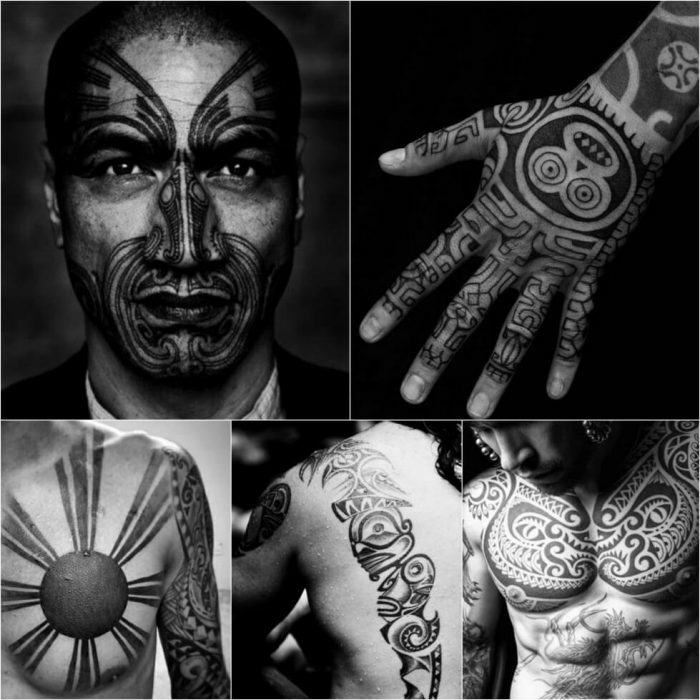 ● Shaman tattoos were worn by men who wanted to demonstrate their courage, honor and strength. 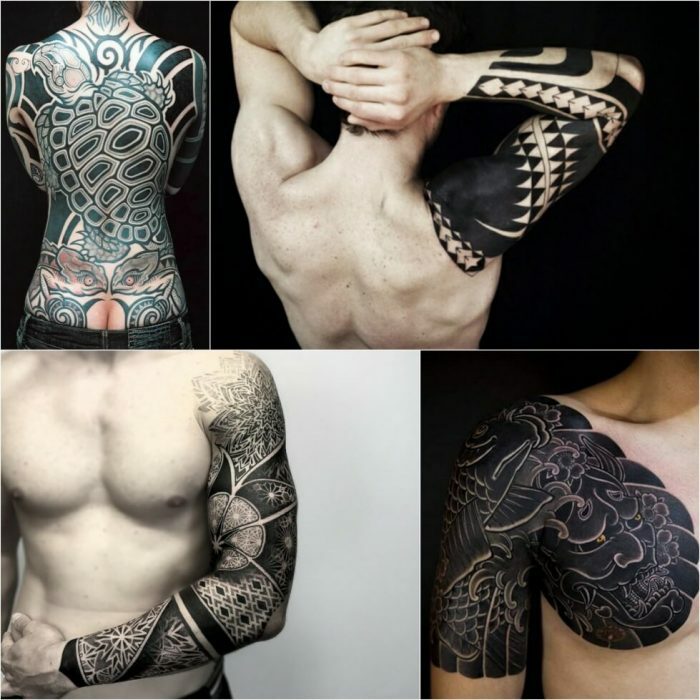 ● Kakushibori tattoos are an unusual type of tattoo. 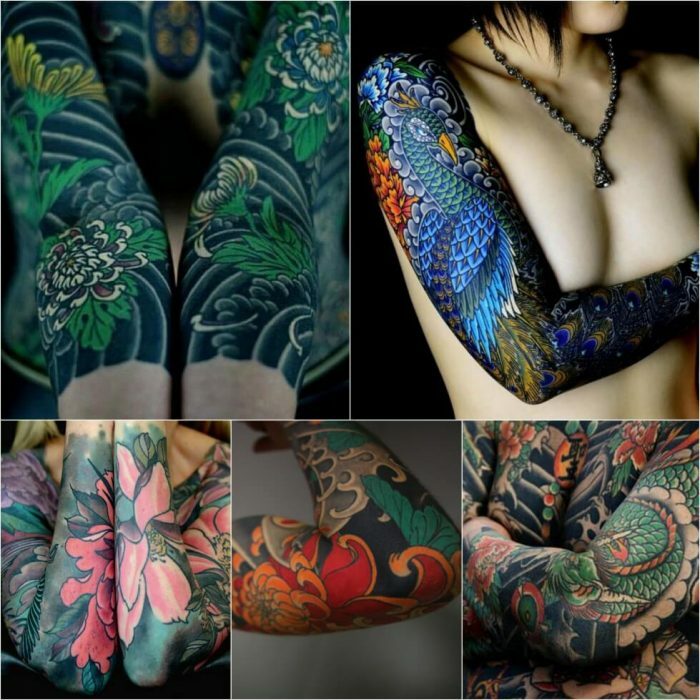 Women were usually the ones who got Kakushibori tattoos, and they were especially popular among geishas. 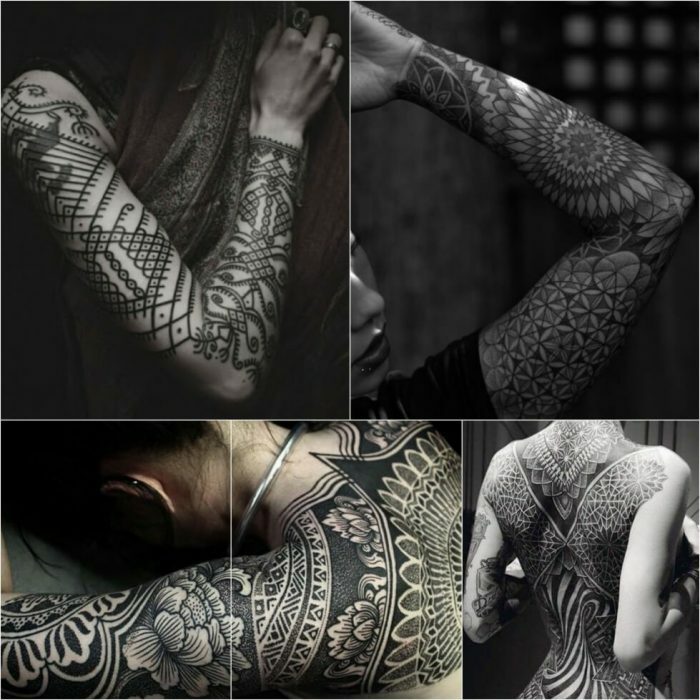 Usually the tattoo was done by filling cuts on the skin with rice flour. 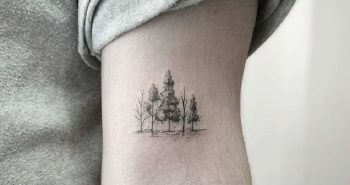 A Kakushibori tattoo was almost invisible in daylight, but appeared when there was an increase in body temperature (at the time of intimacy or when bathing in hot water). 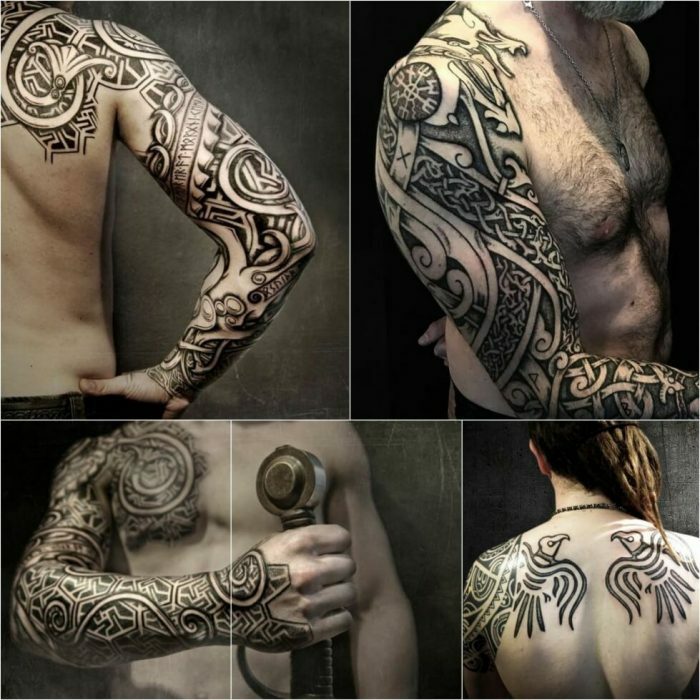 Warriors often wore Celtic tribal tattoos on their bodies as protective amulets. The most popular pictures were: a cross and a bracelet entwined with magical nodes. 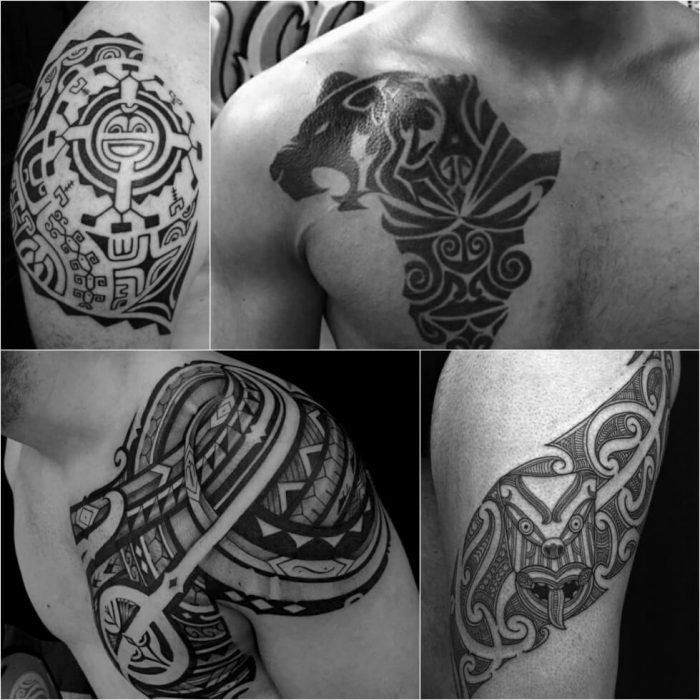 African tribal tattoos were also worn as amulets and talismans. 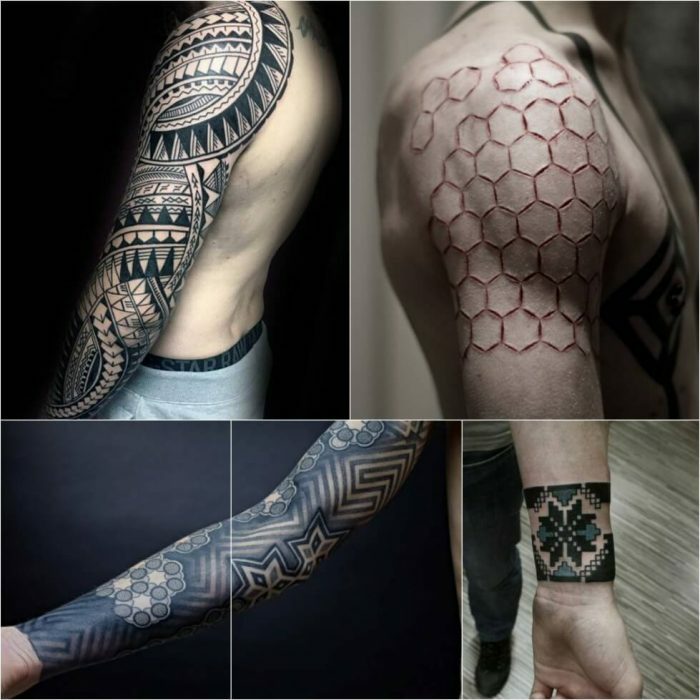 Tattoos depicting a target indicated leadership and charisma. A fern leaf represents resourcefulness and endurance. A crocodile means high adaptability. A wooden comb is a sign of femininity and purity. A goose looking backwards reminds us of the importance of the past experience. The moon and stars are a sign of loyalty, love and harmony. 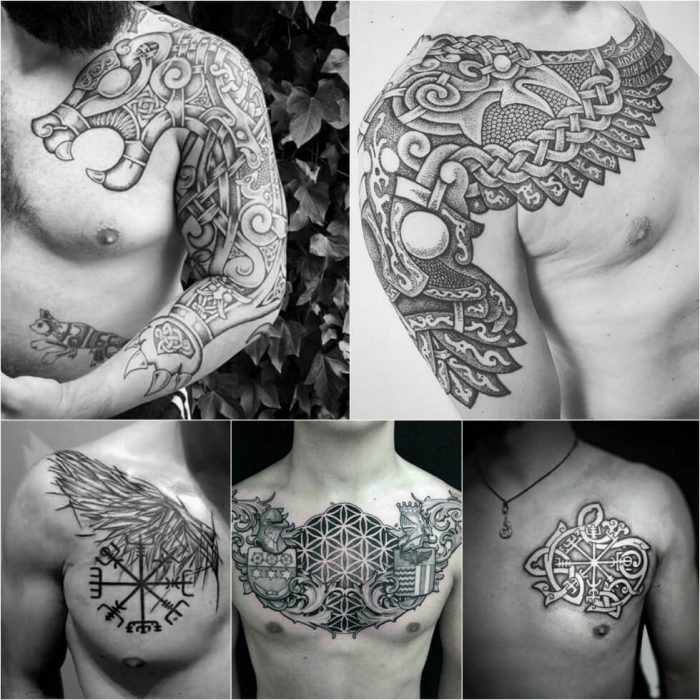 Slavic tattoos most commonly depict the infinity symbol, which represents rebirth. They can also picture animals and birds – wolves and falcons are frequently honored. 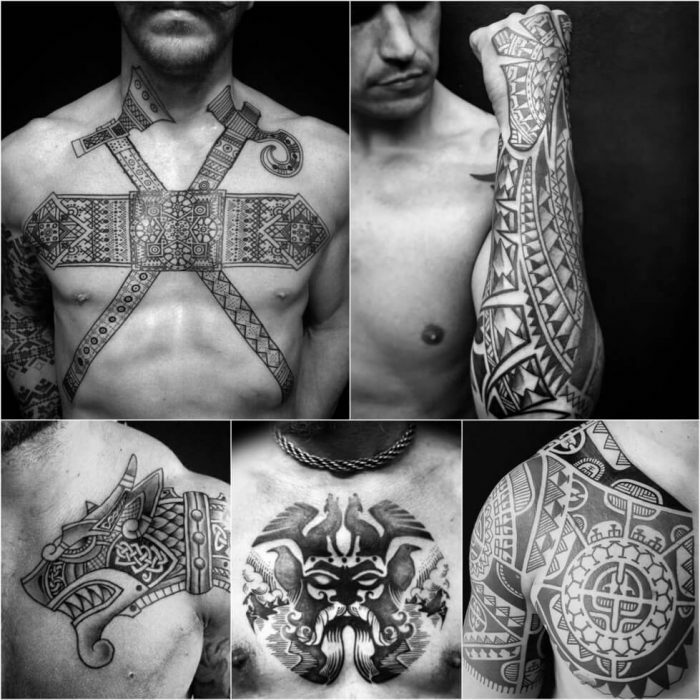 A thunder roll and the star of Russia were considered to be Slavic tattoo talismans. 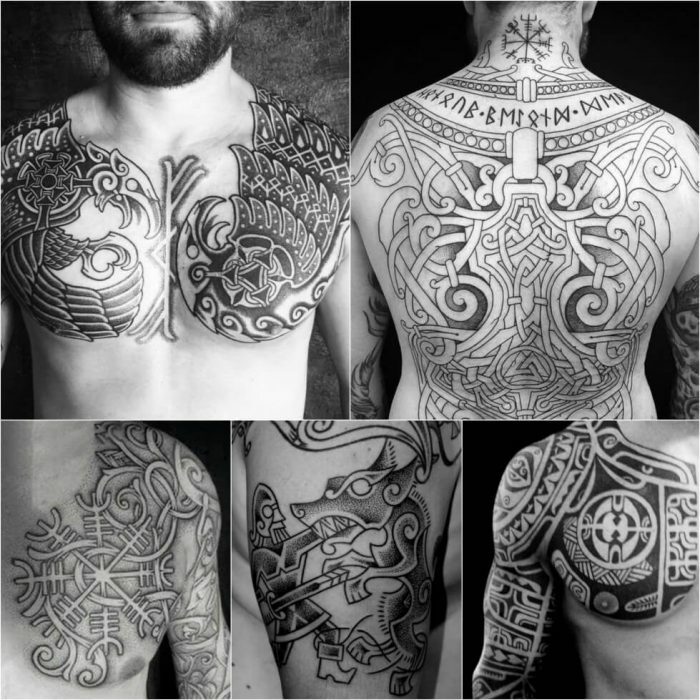 The ancient Slavs tattooed their bodies with images of runes that symbolized the male masculinity, fertility, renewal and peace. 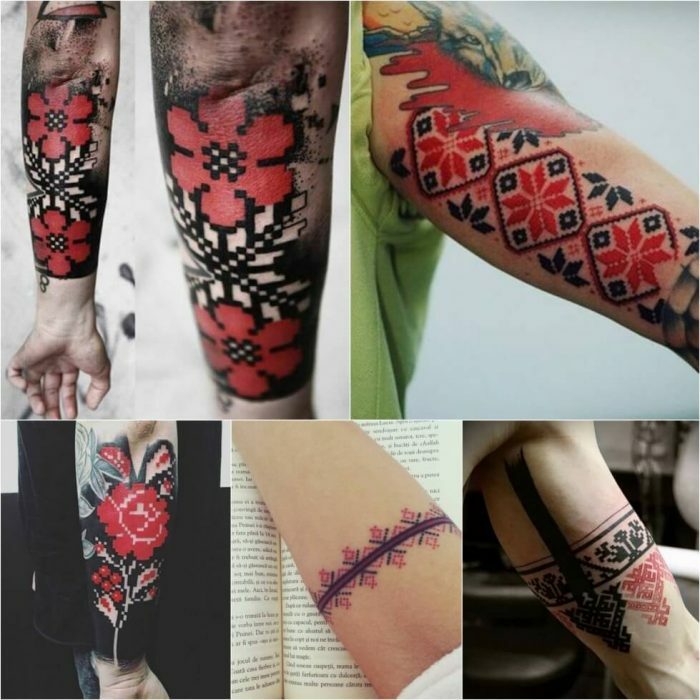 Traditional Slavic patterns are predominantly red, and are also inseparable. 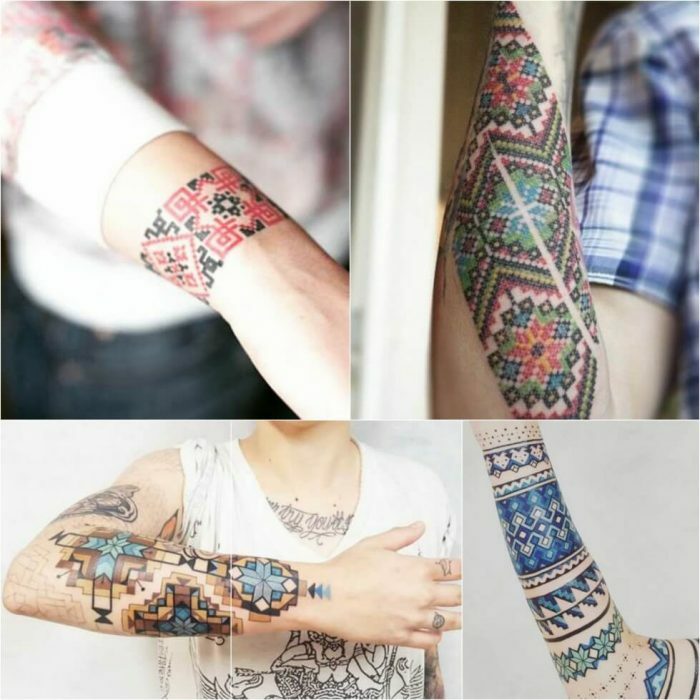 Slavic tattoos are gaining popularity due to their unusual appearance, which greatly resembles folk embroidery. 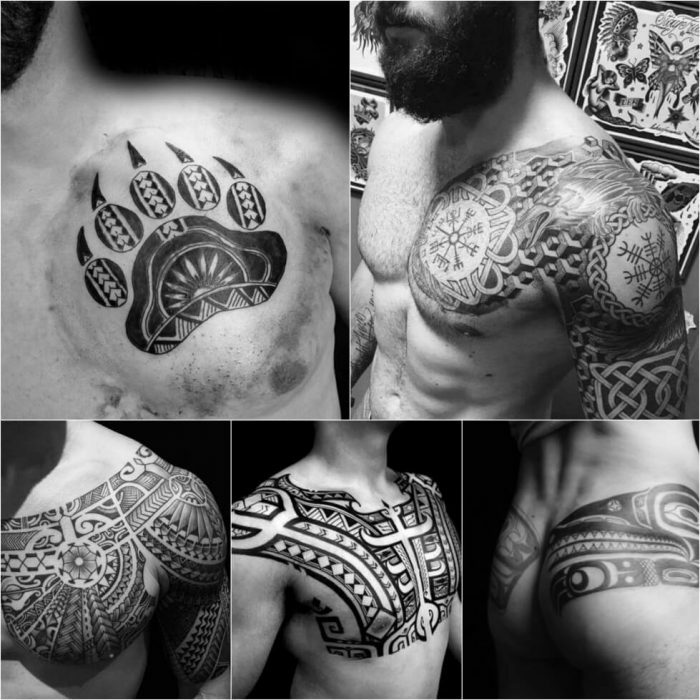 ● A tribal tattoo should be created by a skilled and experienced master who can draw an even pattern line, and also produce a neat, almost uninterrupted picture. 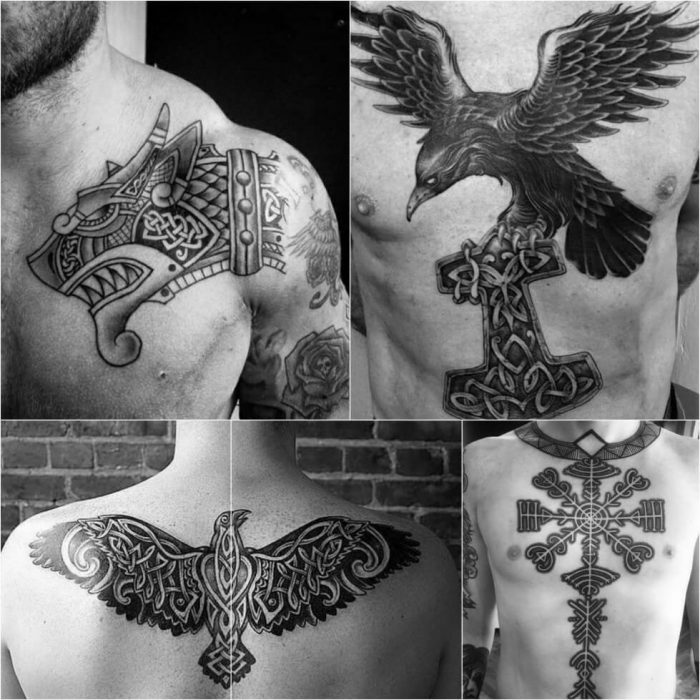 ● If you choose Slavic tattoos, it is important to know that the red color takes a little longer to heal than others. Do not be afraid of this, but make sure that ink used is the highest quality. 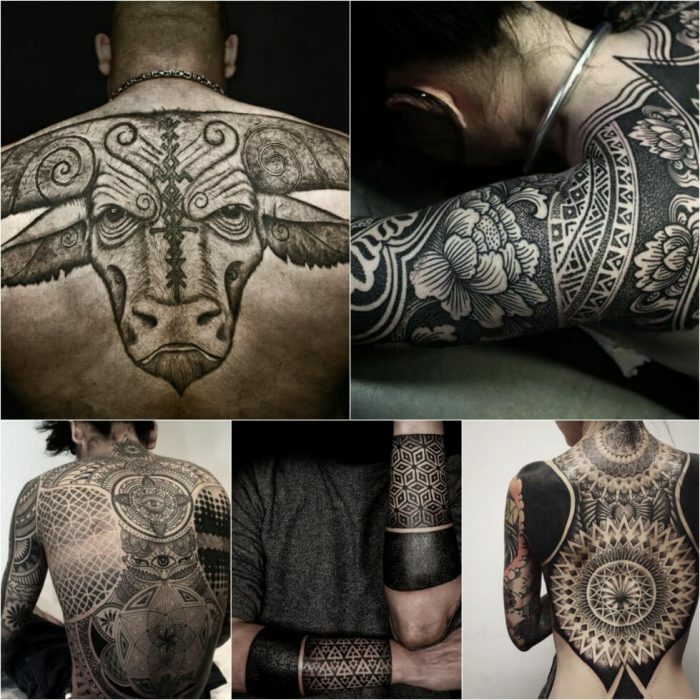 ● In tribal tattoos every detail has its own importance. At first glance, the patterns may look the same, but some minor inconsistency can have an entirely different meaning. For example, one pattern can mean strength and courage, while another shows cowardice or mistrust. Pay special attention to this.